Nearly 400 GW of renewables are possible by 2040 under the right conditions. It's not a surprise that regulating carbon emissions from power plants will be a boon for clean, renewable energy. But the U.S. Energy Information Administration has traditionally offered cautious outlooks for renewables, and only recently accelerated its projection for coal retirements. EIA’s new analysis of the U.S. Environmental Protection Agency’s Clean Power Plan, which seeks to regulate emissions from existing power plants, far surpasses the conservative projections outlined in EIA’s most recent outlook. Under a range of market conditions and policy assumptions, “renewables play a critical role,” the EIA stated. 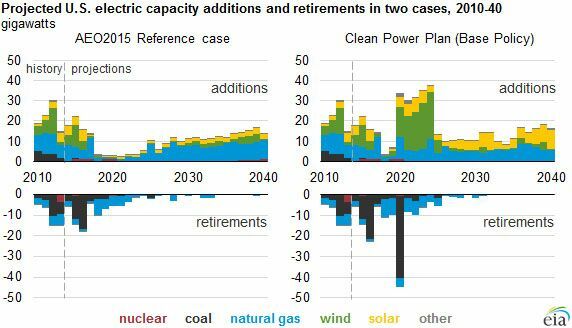 In the very near term, the projections for renewables are similar for EIA’s reference case, released in April, which did not account for federal regulations. In the year 2020, everything changes. Wind takes a predominant role, even over natural gas, in terms of capacity additions. 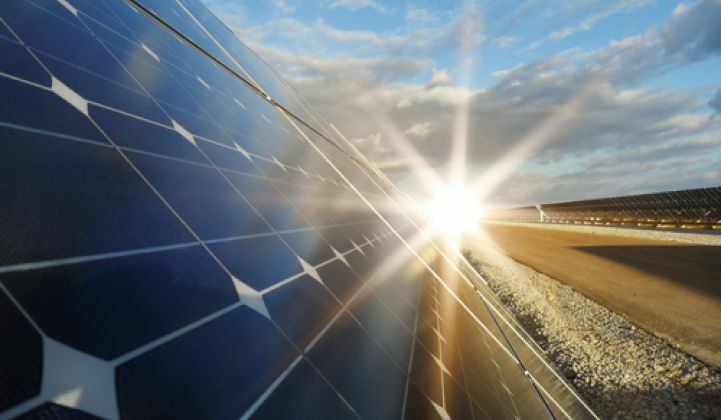 After about 2025, solar grows steadily and would eventually match or overtake new natural-gas generation. 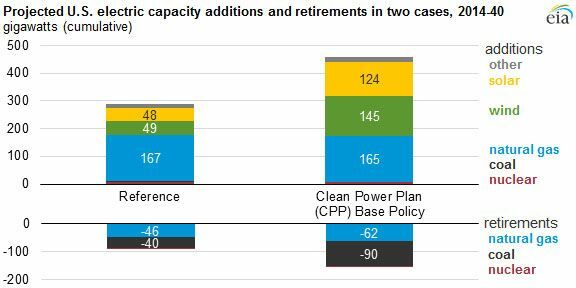 The EIA already ratcheted up its short-term outlook for coal retirement last year from 40 to 60 gigawatts of coal plants being shuttered by 2016. The assessment for the near term is not as dire, but incudes far more retirements over all, with 40 gigawatts being retired in 2020 alone. 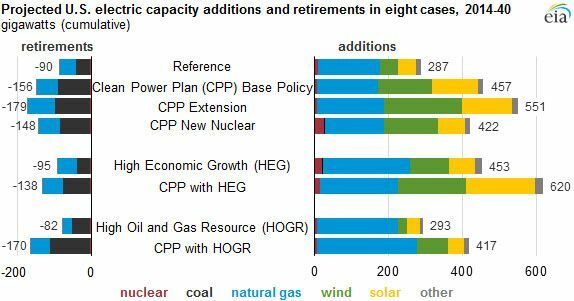 The EIA estimated 283 gigawatts of new renewables through 2040 under the base policy of the CPP. If the policy extension case is adopted, under which the intensity of the standard is tightened further after 2030, that figure could rise to 362 gigawatts.